ICRON Raven 3124, is a point-to-point solution that is up to 200m over Multi-Mode fibre optic cabling. This is a 4-port USB extender that is compatible with USB 3.1, 2.0 and 1.1 at up to 5Gbps throughput speeds for simultaneous use. 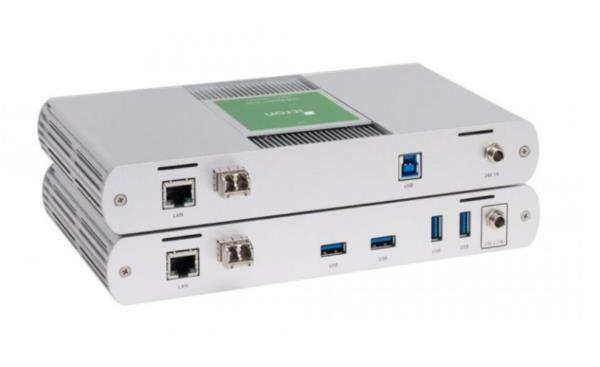 With an additional Ethernet pass-through, this allows the Raven to connect network enabled devices, or to use existing infrastructure without losing LAN connectivity..
Icron’s latest USB 3.1 extender, the Raven 3124, is a point-to-point solution that is up to 200m over Multi-Mode fibre optic cabling. This is a 4-port USB extender that is compatible with USB 3.1, 2.0 and 1.1 at up to 5Gbps throughput speeds for simultaneous use. 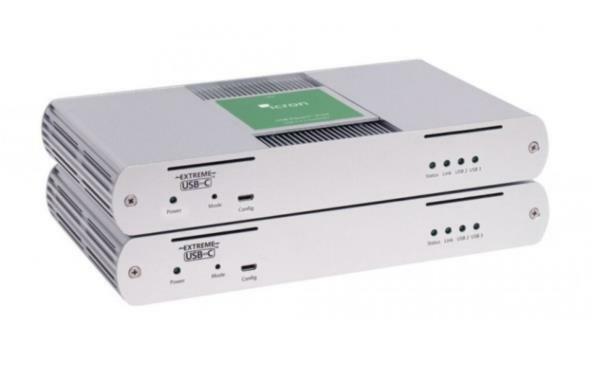 With an additional Ethernet pass-through, this allows the Raven to connect network enabled devices, or to use existing infrastructure without losing LAN connectivity. Suitable for video matrix systems, conferencing cameras and security applications, this is a rugged and reliable solution that will revolutionise USB extension. Featuring the ExtremeUSB-C technology, this fibre optic USB extender provides you with transparent USB extensions, true plug-and-play connectivity and works with all major operating systems (Windows, MacOS, Linux).